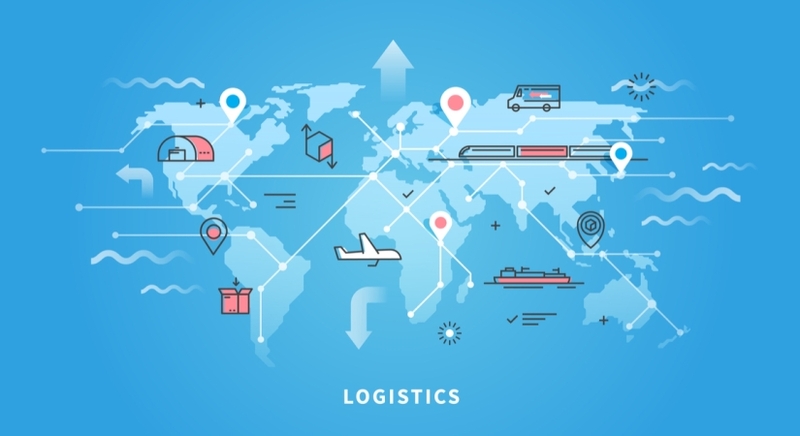 The logistics management refers to the activities carried out within the organization while the supply chain comprises a network of companies coordinating and collaborating together to achieve the desired goals. The dissertation topics on logistics and supply chain management can be related to the different activities and components involved in logistics management and supply chain management. A list of project topics on logistics and supply chain management are based on how different phases of the project and its success relies on logistics and supply chain management. The logistics functions ensure that the right products are available for the right customers in the right conditions and right quantity at the right time and at the right cost. The logistics functions are integrated and involve customer services, purchasing, production planning, warehouse, and transport. The research topics in procurement and logistics management would help in exploring and conducting an in-depth analysis of the importance of procurement. It helps the business in ensuring effectiveness and efficiency. The supply chain management involves a network of organizations that collaborate to achieve similar goals. It involves both upstream and downstream linkages along with different activities and processes that aim to produce value for the customers. Both the logistics and supply chain management have a strong impact on the performance, productivity, and profitability of the companies. It helps in responding to the needs of customers and changes in the market. Investigating the impact of the change in demand and supply on the logistics functions and costs. Evaluating the growing importance of IT in the management of logistics and supply chain. Analyzing the influence of IT innovation on the effectiveness of logistics and supply chain management. Examining the development of logistics capability through the integration of supply chain. To study the integration of risk management techniques in the supply chain through logistics processes. To analyze the impact of logistics performance of the company on global business performance. Studying the logistics and supply chain workflows using the bar code database and RFID. To examine the impact of logistics functions on the financial performance of organizations. Analyzing the role of value chain strategy in managing logistics and supply chain. A study of challenges and opportunities related to the evolution in the logistics functions and processes. Evaluating the innovations and strategies for logistics and supply chains. A study of the role of logistics and supply chain management in the success of multinational corporations. Examining the role of logistics and supply chain management in the enhancement of SMEs. To study how the logistics and supply chain functions have evolved in the 21st Century. Understanding the importance of the adoption of logistics and supply chain management principles and concepts. Evaluating the relationship between the supply chain management and logistics and its different components. To find out how the evolution of logistics and supply chain management contributes to operational effectiveness and strategic differentiation. Studying the challenges and opportunities related to the globalization of logistics and supply chain management. To find out the key differences in supply chain management and logistics in light of different theories. Studying the impact of inbound logistics and outbound logistics on the supplier-customer relationship. Examining the role of technological advancements in the improvement of logistics and supply chain management of multinational corporations. To study the role of information management in dealing with supply chain and logistics challenges. Examining the emergence of information technology and its impact on the third and fourth party logistics systems. A study of the applications of the Internet of Things in the field of logistics. Investigating the role of logistics and supply chain management in dealing with emerging challenges and complexities. An examination of the procurement cost management in the lean organizations in emerging economies. An investigation of the relationship between supply chain management and procurement. Studying the procurement management of specialized projects in the commercial construction sector. A study on the examination of practical implementation practices related to green sustainable procurement strategies. Investigating the trends and challenges in the supply chain and its impact on the digital revolution and globalization.